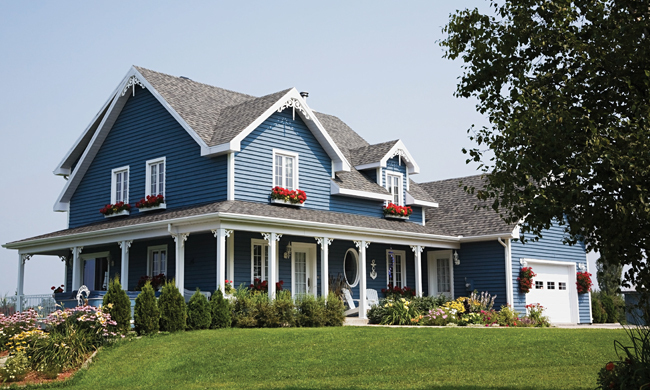 (Family Features) A home that operates efficiently isn’t just better for the environment. Ensuring your home systems are as efficient as possible can also help reduce the financial burden of maintaining your home throughout the year. These tips from Gary White with JCPenney Home Services can serve as areas of focus for lowering your energy bills and lessening your appliances’ negative impact on the environment. The cost of heating water for bathing, laundry and kitchen use is a common home energy drain, so it’s an area that deserves attention when you’re looking to upgrade for efficiency. To reduce energy use from your hot water heater, try taking shorter showers and switching to cold water for some washing machine wash and rinse cycles. Other options include turning down the thermostat on your heater, adding insulation or purchasing a newer, more efficient model. According to the U.S. Department of Energy, as much as 40 percent of a home’s energy expenses come from the heating, ventilation and air conditioning (HVAC) system, also known as the heating and cooling system. Like appliances and other mechanical features of your home, over time, the heating and cooling system becomes less efficient. Regular seasonal service like appropriately changing out the air filter can help ensure your system performs at its best, but once its life expectancy has passed, a new unit is usually the more cost-effective solution in the long run. Understanding your options is important because these systems represent a meaningful investment. There are a lot of potentially overwhelming options and you want to be sure you get the right system for your home. A consultation with an expert, such as those you can find at JCPenney Home Services, can help you determine the proper size and functions necessary to effectively manage your home’s climate, as well as assist in exploring the latest technologies and products. For example, heat pumps, which were once reserved for more moderate climates, are now a cost-efficient solution for homes where temperatures dip lower. Another option that is relatively new but growing in popularity is known as a mini-split system. These systems let you customize the temperature settings in various spaces, enhancing personal comfort and allowing you to focus your energy use on the parts of your home that need it most. Learn more about these and other energy-efficient heating and cooling solutions at jcpenneyhomeservices.com. While servicing or replacing an HVAC system may be the obvious change when it comes to conserving energy, you can also see reductions by using an upgraded thermostat, such as a “smart” or connected model. These devices can help you monitor the temperature setting in your home while maximizing efficiency. For example, a connected thermostat that’s synced to your smartphone may allow you to adjust temperature settings when away from home. This way, if you forget to bump the air conditioner up a few degrees while you’re gone more than a few hours, you can log-in remotely and set an appropriate temperature. A great deal of energy is lost through cracks, holes and faulty seals. Take time to assess all windows, doors and openings for air leaks, adding caulking or weather stripping where needed. Don’t overlook culprits like openings around lighting and plumbing fixtures, switch plates and other electrical elements. Also assess potential losses from the fireplace, attic, garage and crawl spaces, where it’s common that less attention is given to thorough sealing, and determine whether additional insulation can help contain energy. Managing your home’s climate control is typically no small task or small expense. These options offer flexibility and efficiency. Heat pumps pull from the ground or outside air temperature to both heat your home in the winter and cool it in the summer. Since heat pumps move heat instead of generating it, they’re energy-efficient year-round. Hybrid systems or combination systems combine elements of both a furnace and heat pump. The more efficient heat pump runs until the outside air temperature falls below a certain level, at which point the system automatically switches the heat source to the furnace. This option is more expensive up front, but can generate significant savings in terms of monthly utility bills long-term. Ductless systems are a flexible, efficient choice for homeowners looking for simple solutions. These systems can be easily mounted on the wall or ceiling, and don’t require ductwork, making them ideal for a converted attic space or room addition. An HVAC system can be rated in a number of different ways. While some of these ratings may be confusing, it is helpful to understand what they mean. AFUE: An Annual Fuel Utilization Efficiency (AFUE) rating is important if you are purchasing an oil or gas furnace. The AFUE rating measures the amount of fuel used to heat your home against the amount of fuel wasted. A higher rating indicates a more efficient system. The more efficient your system, the less fuel it takes to heat your home, which translates into lower heating bills during the winter. SEER: The higher the Seasonal Energy Efficiency Ratio (SEER), the more efficient your system and the less it will cost to heat and cool your home. Federal regulations require all new HVAC systems to have a SEER rating of 13 or higher. HSPF: The Heating Seasonal Performance Factor (HSPF) measures the efficiency of a heat pump when it is used to heat a home. A higher rating indicates greater efficiency and greater monthly savings on energy bills. New HVAC units are required to have a rating of 7.7 or higher.